Summer is not only the perfect time of year to head outdoors to a beach or pool bar, it’s the only time of year to really do so around here. So take advantage of the sunshine and relax at these hot spots. A bit of South Beach in South Jersey. 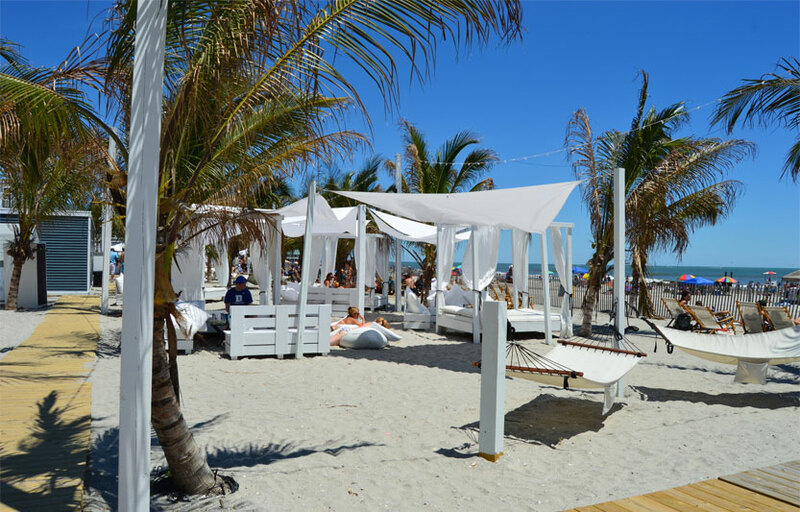 Picture crisp, white beach umbrellas and sleek lounge chairs with a trendy vibe. 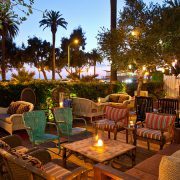 Located in A.C. at the beach at California Avenue, palm trees sway in the breeze as you chill in the warm rays with a cocktail or hookah. At night Bungalow turns into a chic nightclub with two levels for partying, plus a spot to dance to the hottest DJs. Bally’s Atlantic City has consistently had one of the top outdoor spaces around. It’s easy to see why at their Bikini Beach Bar, where specialty drinks flow all day served by an army of bikini-clad waitresses. They also feature a mix of munchies such as chicken fingers, burgers and Boardwalk fries. At night, you can expect some of the area’s top DJs and local bands, plus a variety of theme nights. Don’t fear Mother Nature. It’s always a balmy 82 degrees at this sleek, glass-enclosed indoor pool with cocktail and food service. Once the sun goes down, this is REALLY the place to be. The party gets heated with big name DJs and celebrity hosts. There are also weekly events such as Wet ’n Wild Wednesdays, Thursday Night Swim, Aqua Fridays and Epic Saturdays. 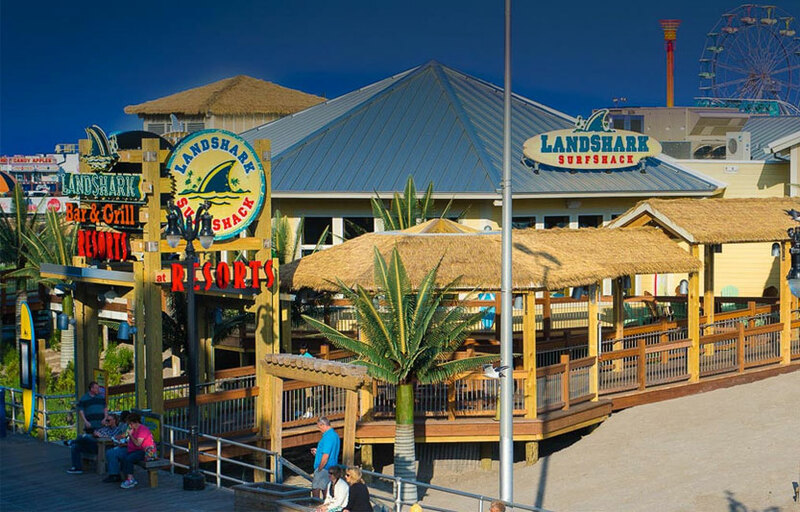 Leave it to Jimmy Buffett to come through with the only year-round, full-service beach bar and restaurant to be located right on the sand in A.C. Retractable walls provide spectacular views to match the stellar live music here, plus food and beer. 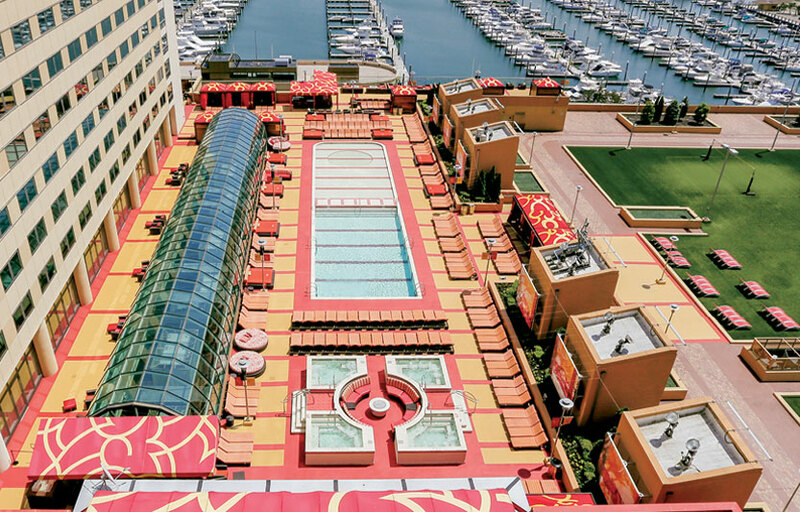 Golden Nugget Atlantic City has two fabulous outdoor party scenes — The Deck and H2O Pool + Bar. The Deck is a perfect laid-back spot where you can pull your boat up, hop out and enjoy food, drinks and live music. Bright and cheery umbrellas will keep you covered while you dance to the band or sit to take in the incredible marina view. H2O is a “daylife” scene for hanging with the beautiful people. There are sleek lounge chairs and chic cabanas with TVs and refrigerators to make you feel like an even bigger deal than you already thought you were when you strutted in. Weekends bring out some of the area’s most popular DJs. 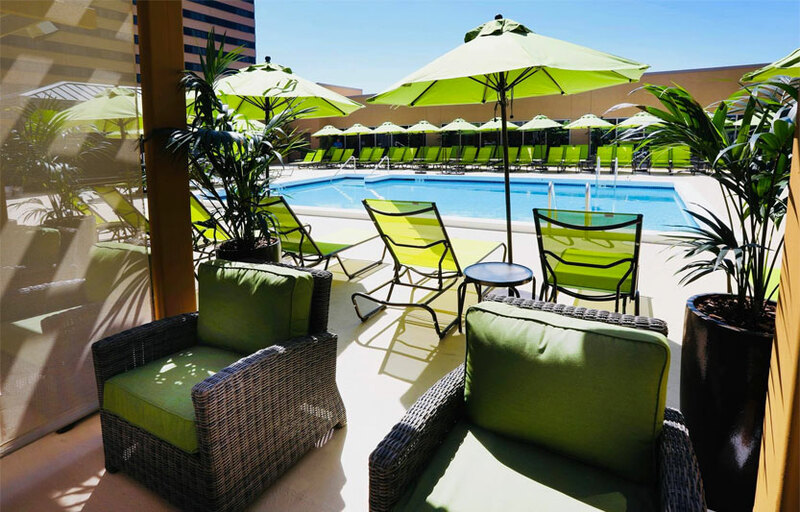 The pool at Trop’s Chelsea Tower in A.C. just received a facelift thanks to some new furniture and this 21 and over spot makes for a great way to start the party while the sun is still out. 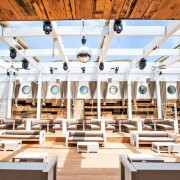 A DJ plus stunning servers, daybeds, cabanas and bottle service, as well as food and cocktails help to create the perfect vibe for you and your tribe. 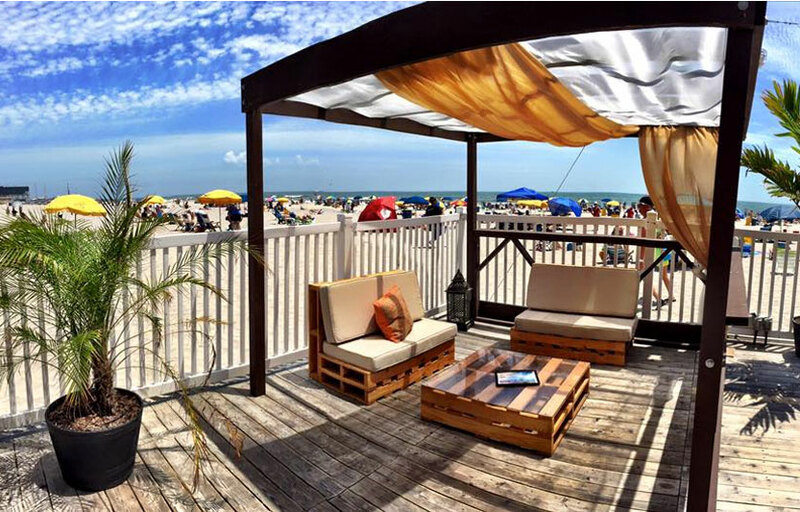 Brigantine’s only beach bar also happens to be one of, if not THE best of any beach bar in the area. A massive space complete with palm trees and beach chairs plus multiple bars and a large outdoor stage where you can watch the band with your toes in the sand. Once it gets late, the indoor stage rocks from 10 p.m. on. 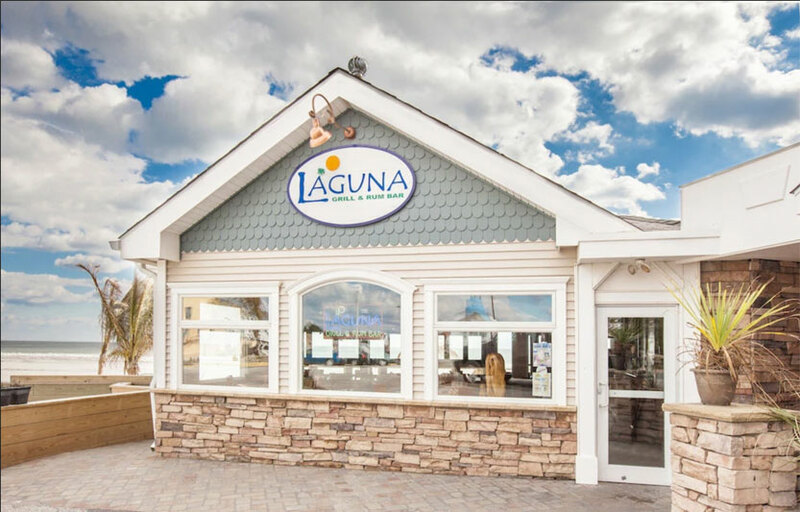 Laguna also has fabulous cuisine from breakfast to dinner with panoramic ocean views.